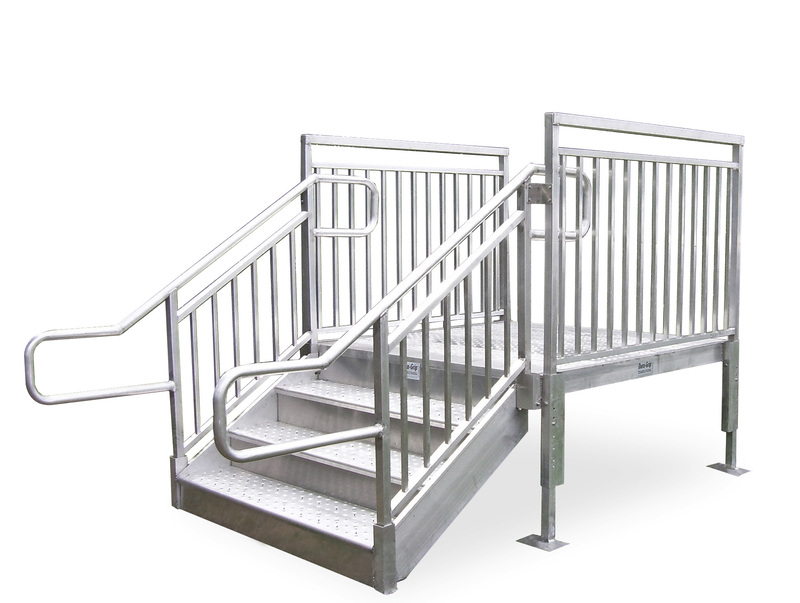 The Dura-Grip General Code stair is designed for portable building access that requires International Building Code and ADA Compliance. You can assemble these stair systems in minimal time and adjust them to varying threshold heights. General Code compliant access to portable classrooms, site built, and modular buildings. Durable, maintenance-free aluminum is non-corrosive and non-combustible. 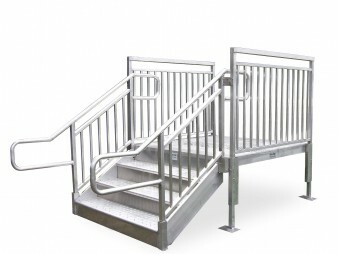 Minimal parts with slip in rails and legs for fast, easy installation. Strong and stable slip-resistant and self-draining deck. Lighter in weight than comparable systems. Landing and stairs designed for 100psf live load and a concentrated load of 300 lbs.